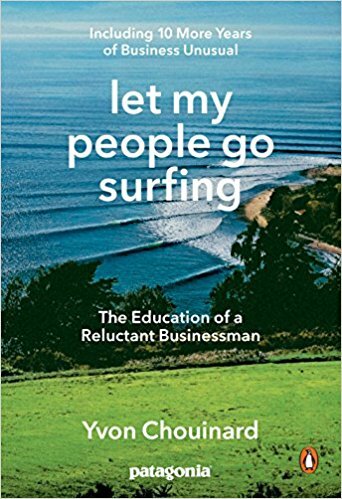 The most influential book I'd recommend for all CEOs are either setting up or running a business is 'Let my people go surfing-the education of a reluctant businessman' by Yvon Chouinard. It's provided a wonderful blueprint to help shape the Tengri business DNA and a recommended read for all aspiring and existing CEOs. I like that it is as much a pleasure to read, as it is inspiring for the work that I am doing now as the Design Lead for Hutan Tropical, an outdoor equipment and clothing brand that I started with a friend. So I guess that ticks both ‘business’ and ‘non-business’ boxes for me. Yvon’s the founder of Patagonia, legendary climber, businessman and environmentalist. The book’s original intent was to be a philosophical manual for the employees of Patagonia but it has so much relevance and inspiration for what I am doing now in building Hutan as a responsible outdoor equipment company. Yvon has set a minimum standard for what everyone who is new to the industry should aspire to.